If you’re waiting for a great family movie to take your kids to, a brand new Wonder Park trailer is here. The new trailer has made me even more sure that my family will be in the theaters to see it on March 15th! If you haven’t heard of the Wonder Park movie, read on! This is a great one! If you haven’t heard of the movie before, it’s really a fun concept! It’s all about fun and creativity which makes it a great family film. The movie encourages kids to use their imagination and be creative. That’s something I know we all want to encourage in our children! Sounds pretty awesome, right? Add in the fact that it’s an animated film and my kids are ready to go! They keep asking when Wonder Park is coming to theaters! They saw the new trailer last night and have watched it more than a few times! You can check it out and share with your kids too! My kids think the whole premise of Wonder Park is incredible. Can you imagine a place where if you can dream it up, it becomes reality? Add the amusement park aspect and I’m pretty sure my kids could dream up some incredible rides! Plus any movie that reminds our kids they can do anything they can dream up is one I want my children to see! It’s got some of my favorite actors in it which has me even more excited to check it out! I’ve been a fan of Jennifer Garnder, Matthew Broderick, and Norbert Leo Butz for a VERY long time! I can’t wait to see which characters I love the most! Right now I’m really liking Steve. He’s just so cute! I think we’re going to love them all though! 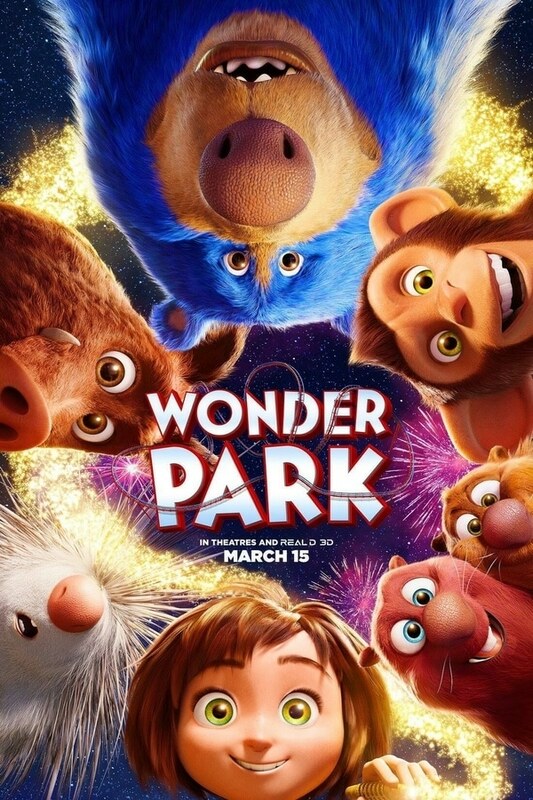 Learn more about the movie and stay updated on all of the new trailers and goodies by getting connected with #WonderPark on social media! Mark your calendars for March 15th and see Wonder Park with your family! « Free Laundry Room Printables & Quick Laundry Tips!